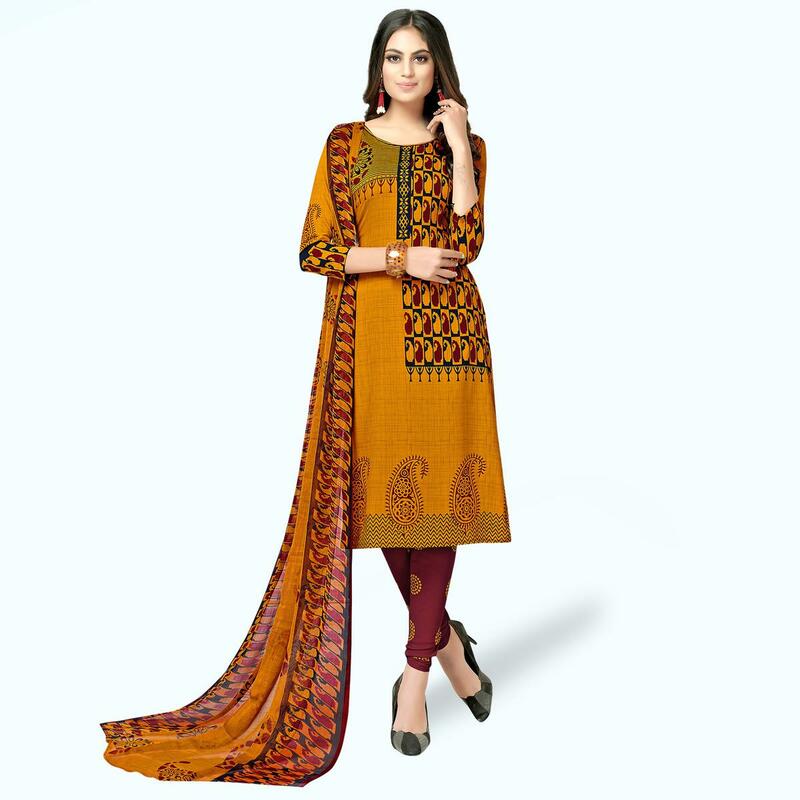 Adorn your beautiful look with this desirable burnt orange colored dress material. Its top is fabricated on leon crepe has been beautified with print work, comes along with contrast color printed leon crepe bottom and printed chiffon dupatta. It's a perfect outfit to wear for casual outings, workplace and social get together. Get this dress material stitched as per your desired fit and comfort. Pair it up with classy accessories and heels to make your look more attractive. Note:- The actual product may differ slightly in color and design from the one illustrated in the images.